Breckenridge, the quaint Victorian town that has become the most popular ski area in the United States is located just 90 miles from Denver International Airport (DIA) and only 70 miles from Eagle-Vail Airport. Summit Express offers shuttles to and from Denver International Airport for every season of the year. Skiers and riders love our affordable luxury shuttle service and families find our charters an unbeatable value. 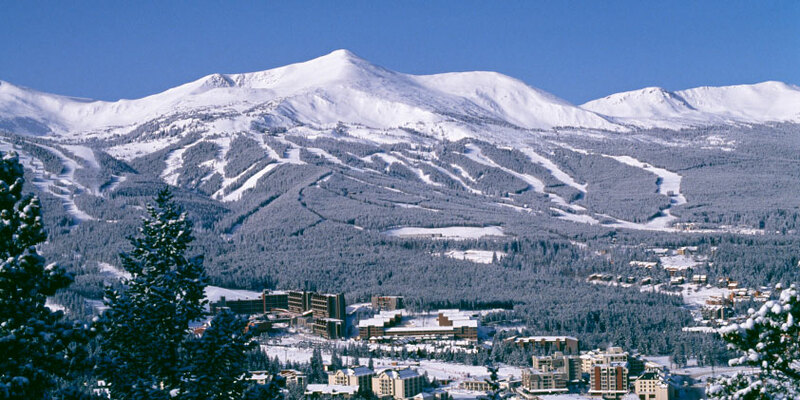 Summit Express also provides luxury shuttle charter services to Breckenridge. We are currently booking Breckenridge airport shuttles for the spring season in Colorado. At Summit Express we compete on price and service! Give Summit Express a try and you’ll experience the best shuttle service in Colorado and have enough left over for a few meals out with the family. The competition is over priced and doesn’t have the personal touch that our owner / operators have, book with us and you won’t be sorry! If you’re a local or have friends in town to help arrange the last leg of your transportation the BTC is your answer. Summit Express drops off and picks up at the Breckenridge Transfer Center.